Scabiosa stellata ‘Ping Pong’ From Seed. Higgledy Flower School 2016. #31. Scabiosa stellata ‘Ping Pong’. Scabiosa ‘Ping Pong’ is back! I stopped stocking it for a time as it was tremendously challenging to get my mitts on top quality stock. However…seek and ye shall find… ‘Ping Pong’ is usually grown for its splendid flower heads. The spherical seed heads are a silvery colour similar (in colour, not shape) to the seed heads of Honesty (Lunaria). The flowers themselves are, to my mind, very underrated…they are a faded denim blue and the bees love hanging out on them. 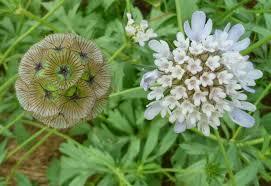 Scabiosa ‘Ping Pong’ is a hardy annual and as such can be sown in late summer/early autumn or in spring. 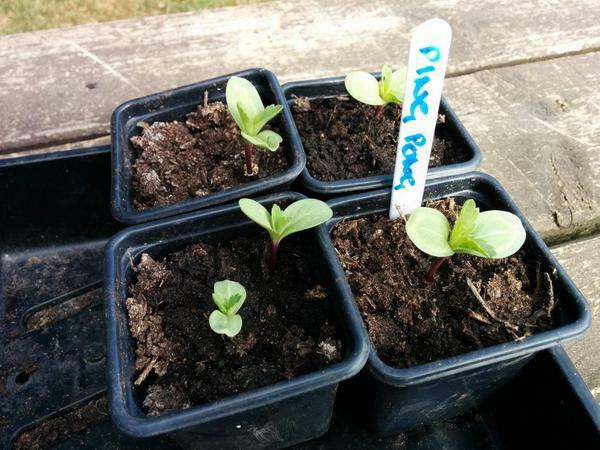 I tend to sow in pots from the beginning of April but you could sow outside, direct where you wish them to grow from mid April. As always the ground should be free from weeds and be free draining….thin plants to about a foot apart. Thus far my photos of ‘Ping Pong’ have been terrible…I am going to run a photo competition this season…the best photos of ‘Ping Pong’ will all receive prizes of yet unimaginable worth. In fact I will be running heaps of photo competitions this season and will be showcasing customers pics on the website…folk are always interested (nosey!) to see how other growers are getting along. 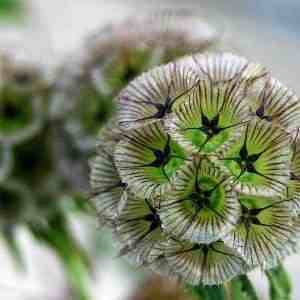 You can of course find Scabiosa ‘Ping Pong’ seeds in the Higgledy Seed Shop. If you have any questions then please ask away…you can find me onTwitter or Facebook.Should you wish you can join ‘Club Higgledy’ (see the right hand side bar). Craspedia For The Cutting Patch. Sweet Peas In Containers.